In the frame of the International Co-operative Programme on the Assessment and Monitoring of Air Pollution Effects on Forests, results are given here on the link of element fluxes through forests to Mn contents in tree rings in order to detect incipient soil acidification. Concept and feasibility study for the integrated evaluation of environmental monitoring data in forests. European Journal of Forest Resesrch 124: 251-260. Manganese in tree rings of Norway spruce as an indicator for soil chemical changes in the past. European Journal of Forest Research 124: 313-318. Ergebnisse und methodisch-theoretische Überlegungen zur immissionsökologischen Waldzustandserfassung (IWE) - dargestellt am Beispiel Hamburgs. Forstarchiv 57: 167-174. Impact of heat and drought on tree and stand vitality - dendroecological methods and first results from Level II-plots in southern Germany. Proceefing of the Symposium: “Forests in a changing environment - Results of 20 years ICP Forests Monitoring” (Göttingen NL, 25-28 October 2006). Schriften aus der Forstlichen Fakultät der Universität Göttingen und der Nordwestdeutschen Forstlichen Versuchsanstalt, Bd. 142: 120-127. Dendroökologische und ernährungskundliche Untersuchungen an gesunden und kranken Buchen (Fagus sylvatica L.) der Nordböhmischen Mittelgebirge. Dendrochronologia 12: 45-58. Air pollution and environmental chemistry - what role for tree-ring studies? Dendrochronologia 20: 159-174. Mangan - ein Bioindikator für den derzeitigen Schadzustand mittelalter Fichten in Hessen. Forstarchiv 61: 229-233. Barium and manganese trends in tree-rings as monitors of sulfur deposition. Water Air and Soil Pollution 73: 213-223. Critical loads - is there a need for a new concept? Water Air and Soil Pollution Focus 1: 21-27. Critical loads for sulphur and nitrogen. Report from a workshop held at Skokloster, Sweden, 19-24 March 1988. NORD Miljørapport 1988: 15, Nordic council of Ministers, Copenhagen, Denmark, pp. 225-268. From critical loads to dynamic modelling. In: “Modelling and mapping of critical thresholds in Europe”. CCE Status Report 2001. 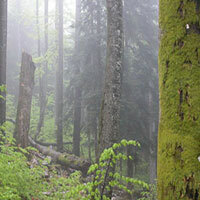 A retrospective isotopic study of Spruce decline in the Vosges mountains (France). Water Air and Soil Pollution Focus 3: 201-222. Growth trends in European forests. Springer-Verlag, Berlin, Heidelberg, pp. 372. Forest foliar condition in Europe. Results of the large-scale foliar chemistry surveys (survey 1995 and data from previous years). Brussels, Geneva, Vienna. Manual on methodologies and criteria for modelling and mapping critical loads and levels and air pollution effects, risks and trends. Manual on methods and criteria for harmonized sampling, assessment, monitoring and analysis of the effects of air pollution on forests. BFH, Hamburg, Geneva. Forest soil condition in Europe. Results of the large-scale soil survey. Brussels, Geneva.